Fiduciary Liability Changes are Coming in 2017 | Harry Kelleher & Co., Inc.
New changes are coming from the Department of Labor which can put your personal assets at a greater risk if you offer benefit plans to your employees. Learn what the changes are and how to protect your company. What Changes are Coming from the DOL Fiduciary Rule? The DOL Fiduciary Rule will require those providing advice on benefit plans to adhere to a heightened legal standard where they act as a fiduciary. The rule has been put in place to prohibit transactions with conflicts of interest so recommendations are in the best interest of the client at all times. While there has always been a standard in place which required the recommendation of products suitable for the client,under the DOL Fiduciary Rule, fiduciaries will not be permitted to receive payments from plan sponsors, plan participants, and IRA owners who they are giving advice to. Under What Circumstances is the New Rule Triggered? Now, the term “investment advice” can be broad. To establish the existence of fiduciary investment advice, a “recommendation” needs to have taken place. A “recommendation” is a communication that can reasonably be viewed as a suggestion or piece of advice. This advice will be received by the recipient and engaged with accordingly. The more individually tailored the communication is to an individual recipient or group of recipients, the more likely it is that the communication will be viewed as a recommendation. On April 10th of this year, advisors will be required to follow the impartial conduct standards defined by the new rule. They also need to provide notice to investors that establishes their fiduciary status and their conflict of interest. A person must also be put in place to hold fiduciaries accountable to the standards. Full compliance will be expected by January of next year. If your business offers benefits to your employees, you may be held personally responsible for the mismanagement or loss of the benefits. Lawsuits may be claimed against you by plan participants (employees) or the government. Allegations could include conflict of interest (which is a growing concern with this new rule), failure to adequately fund a plan, lack of investment diversity, denial or change of benefits, or an imprudent choice of a mutual fund, third-party service provider or insurance company. 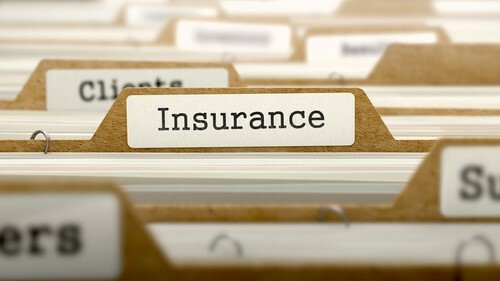 Unfortunately, most types of insurance aren’t helpful in the case of these losses. For example, D&O policies, general liability, employee-benefits liability, and E&O don’t typically cover fiduciary liability. As a company offering benefit plans, the only way to protect your financial assets against lawsuits related to employee benefit plans is with fiduciary liability insurance. It will pay for your legal defense costs, settlements, and judgements. Contact us today!